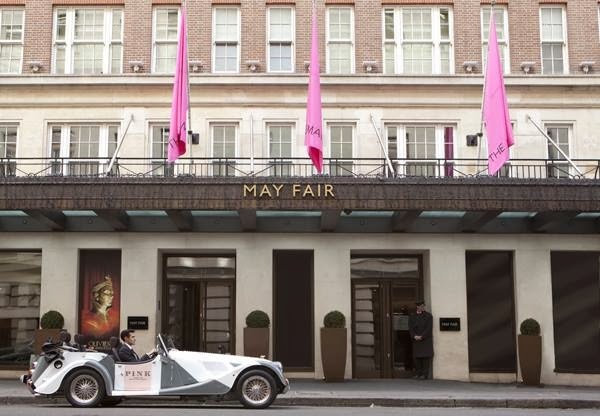 The May Fair Hotel was not my choice of hotel to stay in in London, UK, my family just happened to want to stay there because their friends were staying at the same hotel, and have been staying there every time they went to London. 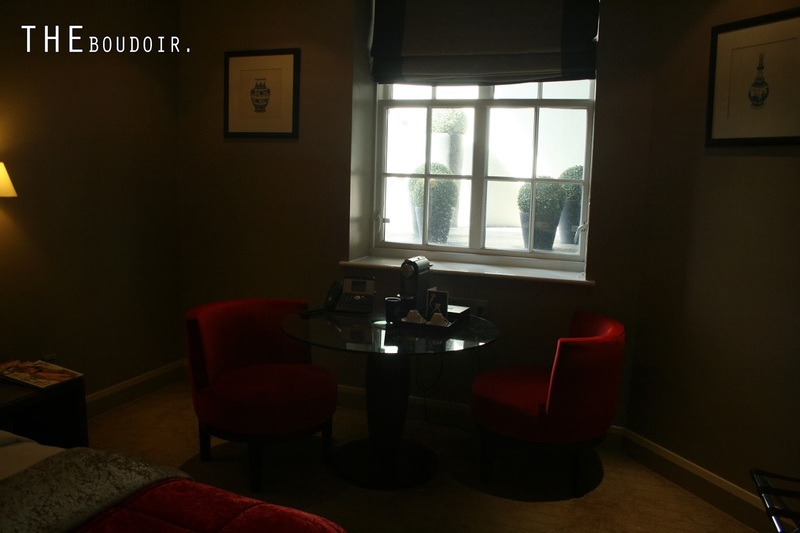 Its not my choice because of the location I usually like to stay next to Oxford Street or Knightsbridge, 45 Park Lane Hotel and W Hotel were both exceptions because they were new and the interiors were mind blowing. Anyways, even though we were given a larger room than most of our acquaintances, I did not like the interiors of the room at all. I wasn't a fan of the red and velvet and the cupboards were located awkwardly in front of the room's door. Not to mention the view we got was ghastly, looking into nothing, an outdoor staircase for workers so we had to leave the blinds closed at all times. Adding The May Fair Hotel is an expensive hotel. The best thing about this hotel was that it was considered as a celebrity hot spot and its location turned out to be not as bad as I expected. 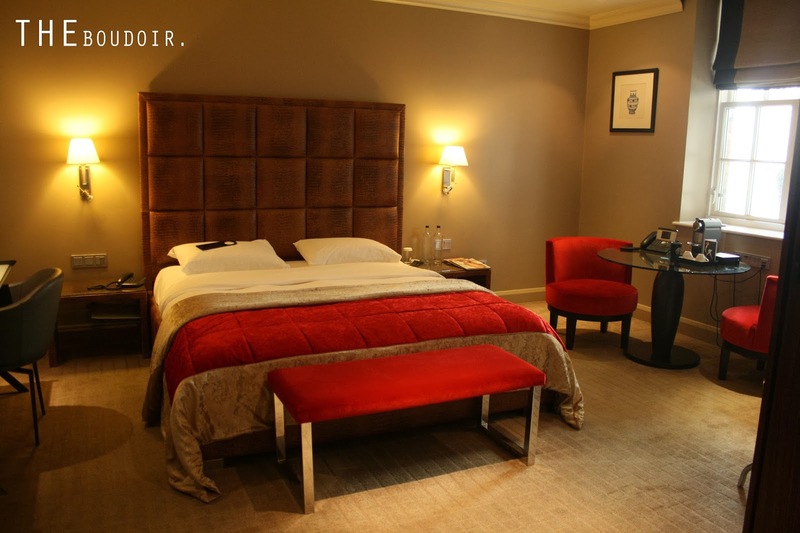 The hotel was just a few steps of Piccadilly and have great access to buses with lots of cafes of mini markets around and is very close to Green Park. And if you're into luxury brands, then Bond Street is also very close! So I couldn't complain, the perfect location minus the perfect room. ما كان فندق الماي فير في لندن من اختياري وكان اختيار الأهل لأنهم كانوا يبون يسكنون بنفس فندق معارفهم وبالعادة أحب أسكن في فنادق عند شارع أوكسفورد أو شارع نايتسبريدج الا في حالة سكني في 45 بارك لين ودبليو هوتيل والسبب اني سكنت في هالفندقين انهم كانوا جدد وديكورات الفندق والغرف روعة. أولا غرف فندق الماي فير ما اعجبتني من ناحية الديكور وتصميم الغرفة والألوان وكان غالبها اللون الأحمر وخامات المخمل. ومع أن كانت غرفتنا وسيعة وأكبر من غرف معارفنا الا ان المنظر خارج كان سيء بأنه لا يطل على شيء الا درج خارجي للعمال فاضطرينا نسكر الستاير طول مدة السكن! بس هدا كان عيب الفندق. أما الفندق نفسه كانوا يتجمعون فيه المشهاهير وكموقع ممتاز ما توقعت. يبعد خطوات قليلة من شارع بيكاديلي وقريب من شارع الماركات بوند وقريب من حديقة قرين وحول الفندق قهاوي ومطاعم وسوبرماركت كثيرة وصيدلية بوتس. غير ان في محطة اندرقراوند ومحطات باصات كثيرة. يعني الفندق وموقعه ممتاز ولكن الغرفة ما اعجبتني وكان سعرها غالي عليها.